DCC has wasted €100 Million so far. If they go ahead they will kill 100's of recycling jobs and export another €900 million to New Jersey and cause the premature ill-health and the premature deaths of an unknown number of people. 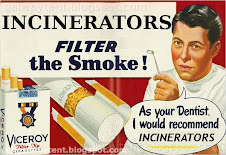 The RTE report omits possible lies told to the public by the promoters of the proposed incinerator. (McKechnie Ruling - DCC "massage" of RPS reports). 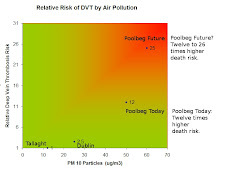 The 31 January 2012 segment from RTE Prime Time on the Poolbeg Incinerator fiasco starts just before minute 17. It runs for about ten minutes. Mr Pyjamas and Bambi did a no-show for Prime Time. Perhaps Bambi is hiding out in Brighton with De Heer Professor Tol Pot and PJ is scheming how to further exploit the good name of Eejits Ireland on Clyde Road. "Mafia" Waste Arrives in Rotterdam Port.